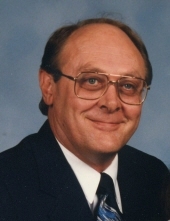 Paul W. Green, age 73, died January 31, 2019 after an extended illness. He was born September 13, 1945 in Shawnee, OK to N.M. and Juanita (Bench) Green and grew up in the Shawnee area. He was a graduate of Shawnee High School after which he proudly volunteered for active duty service in the United States Navy during the Cold War and Vietnam Era. As an air crewman, he flew in submarine “hunter-killer” missions tracking and deterring Soviet submarines operating in the Gulf of Mexico Theater following the Cuban Missile Crisis. He was a graduate of Oklahoma City University and had been a realtor, entrepreneur, inventor and contractor. He was a United Methodist, a devoted husband, father and papa. He enjoyed traveling in his RV and especially spending time with his family at Lake Texoma. Paul was preceded in death by his parents, one sister Cordelia Turman and one brother Wes Green. Survivors include his wife Bonnie of 51 years, two sons Tim and wife Carole of El Reno and John and wife Kirsten of Houston, TX. Also by four grandchildren, Joshua, Zachary, Brian and Rowan Allyce. Graveside rites will be held at 2pm on Tuesday, February 5, 2019 at the pavilion in Resthaven Memorial Park, Shawnee, OK.
To send flowers or a remembrance gift to the family of Paul Wayne Green, please visit our Tribute Store. 16006 S. Rock Creek Rd. "Email Address" would like to share the life celebration of Paul Wayne Green. Click on the "link" to go to share a favorite memory or leave a condolence message for the family.